Now You Can Get Carpet Cleaning Orange at Your Own Convenient Time. Orange is one of the stepping stone cities of Orange County. Therefore, carpet cleaning Orange is at a high demand service that we offer. Moreover, throughout the years we have realized how the industry have changed. 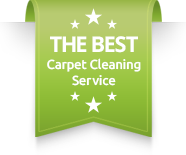 Meaning, most of our customers today would like to get a same day carpet cleaning service. We use green carpet cleaning solvents, while using a 5 step deep carpet cleaning system. 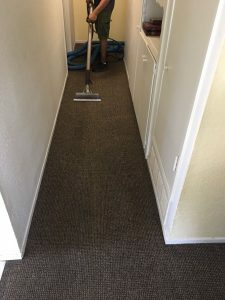 Our carpet cleaning Tustin process will leave your carpet fresher and cleaner for a longer time. In addition, we offer many more services on the same day around Orange. Upholstery cleaning Orange, air duct cleaning Orange, dryer cleaning Orange and many more. Please call Dr. Carpet Irvine for more information about our availability. In addition to carpet cleaning, in order to give your home the complete fresh feeling, upholstery cleaning is a must. By using our couch and sofa, we leave our body moisture and sweat to soak in. Moreover, the moisture we leave on the upholstery will absorb the dust particles from the air and create dark spots. In addition to the dark spots, the upholstery tends to get sticky and leave an itchy feeling on the skin. Therefore, contact us and explain exactly your situation. We will come prepared to give your upholstery the best cleaning and attention to bring it back to life. Air duct cleaning is a fantastic addition to carpet cleaning and upholstery cleaning. Our air duct vents, in case they are not clean, will circulate dusty air and spread allergies around the house. Therefore, we recommend a deep air duct cleaning periodically, so when you turn on the air, its not hard to breath. We can help you solve years of dust and gunk residue that stuck to your air duct vents. We must start our advise about dryer vent cleaning by saying “Be Careful”. Dryer vents tend to get clogged periodically, which means it has a risk of catching on fire. In case your dryer vent is clogged, call us. We will come on the same day to clear up the dryer vent, so you can dry your laundry again. Dryer vent cleaning Orange is a top priority for us. Please contact us for all carpet cleaning Orange Inquiries.